Our chapter welcomes you to come and meet the brothers of America's Foremost Co-ed Professional Business Fraternity, Delta Sigma Pi. This event will give you an idea of what Delta Sigma Pi is all about. Put on a suit or a blazer and come to our Professionalism event. This event will offer you an opportunity to hear from seasoned professionals. Don't miss out! Brotherhood is a huge part of what makes our chapter so special. Come by to experience the close bonds that extend far beyond college. As one of our four pillars, community service is something that Delta Sigma Pi is committed to doing. Please join us at this event and help us give back to the community. We have invited some of our successful alumni to come and speak with us. 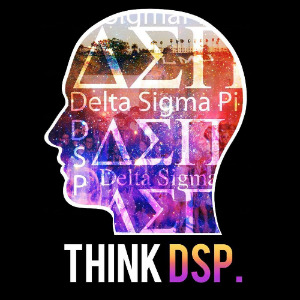 With their valuable insight, you can get a glimpse of some of the great connections Delta Sigma Pi has to offer.